And just like that, number one had fallen. Today, Johnny Manziel and the Texas A&M Aggies went into Tuscaloosa, built a big 20 point lead in the first quarter and were able to hang on to a major upset by defeating the Alabama Crimson Tide, 29-24. With the top overall team going down, what does that mean for the last several weeks of the 2012 college football season? For the Aggies, this was the major statement victory in their inagural SEC campaign that they craved after losing to Florida and LSU earlier this year in College Station. Thanks to a brilliant performance from the man they refer to as "Johnny Football" as he completed 24 of 32 for 253 yards with two touchdown tosses as well a a team-high 92 rushing yards. 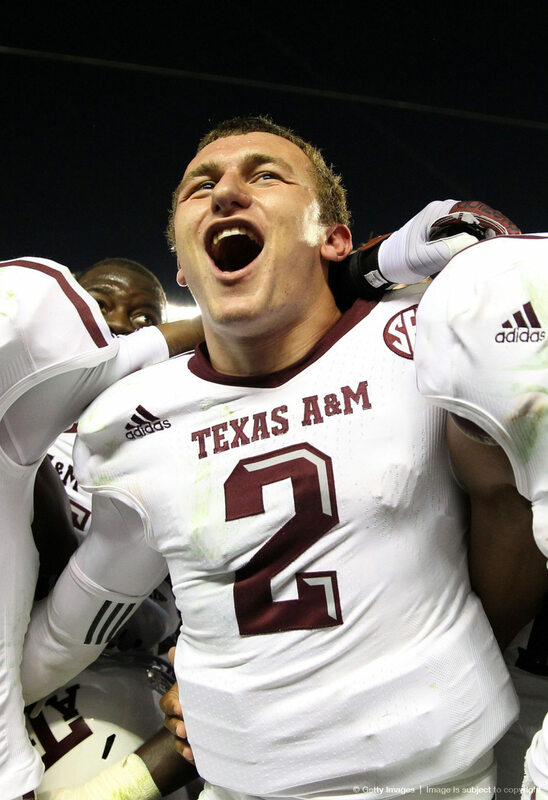 Now Manziel may be the new favorite in the Heisman race and not only now have the Aggies solidified themselves as a real national championship contender next season, they still have an outside chance to get to Atlanta if the Tide end up losing to Auburn in two weeks. What a letdown for Alabama. They were the prohibitive favorite to get back to the national championship game after routing Michigan in the Cowboys Classic but with this disappointing loss, especially after digging such a big hole early, now the BCS picture had radically changed. Alabama is certainly not out of the hunt, they will probably fall to five or six I would guess but now the door has opened for Oregon, Kansas State and Notre Dame, the three undefeated teams left, to get to Miami Gardens. The Tide would need someone to lose, which could happen with Oregon closing with a pair of tough games with Stanford and at Oregon State plus the Pac-12 Championship Game, Notre Dame closing at USC and Kansas State closing against Texas, and if they take on Georgia in Atlanta, who should be in the top five at that point in all likelihood, and win, they'll be right in the hunt. But the dreams of a repeat title just got a hell of a lot more tricky.